So Mariah is Sharon's daughter and Cassie's twin sister. She is also the Bride of Frankenstein. Boy, that Ian Ward is one sick man! He's even driven Nikki back on the sauce again. It's enough that Nikki is drinking again, but I fear we will also have to endure Neil's return to the bottle when he discovers the truth about Devon and Hilary. Speaking of Neil's blindness, I doubt it will last long. 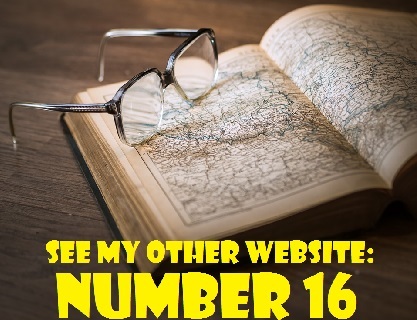 A regular viewer, Fifi from Collingwood, Ontario, has predicted that after regaining his sight, Neil will fake blindness long enough to discover the truth about Devon and Hilary. Now, back to Ian Ward. Ian is probably the most diabolical character ever on Y&R. Longtime viewers will remember a gruesome character named Mr. Anthony. He was a mobster who kept a tank of sharp-toothed piranhas. Well, I think Ian Ward has topped Mr. Anthony in the evil department. Rumours abound that the Michael Baldwin character is going to die. There has been much speculation online that he will be diagnosed with cancer (probably prostrate cancer). As of this writing, nothing has been confirmed. So far, it is all conjecture and hearsay based on a report in the current issue of Soap Opera Uncensored in which Nelson Branco writes, "Rumour has it a veteran character will learn he has cancer." Also, in a recent episode, Lauren urged a tired Michael to get himself check out by Dr. Barton Shelby. I would be very disappointed if Christian LeBlanc left the show. He is an excellent actor and Y&R certainly can't afford to lose any more actors of his ilk. LeBlanc has been nominated for a Daytime Emmy Award for his role as Michael Baldwin a whopping eight times, and he has won the Outstanding Lead Actor award in 2005, 2007, and 2009. Unfortunately, however, I wouldn't rule out the possibility of his departure because Y&R producer Jill Farren Phelps is unpredictable. As fans well know, she is a loose canon, with a reputation for making controversial moves. I must say I enjoyed the memorial to Mrs. Chancellor, even though it hasn't really been a year since her death. Jeanne Cooper actually died last May 8. However, as we all know, soaps distort time. Anyway, Murphy showed up with a white beard and Nina had a strong warning for Clueless Paul Williams. She told him that after having dumped her for Christine, he had better not mess things up with the Cricketmeister. So Abby kissed Dr. Stitch, purportedly because she was trying to make Tyler jealous. Yet, I have to wonder if there was more to that kiss. Although she appears to despise Stitch'em up for his interference in her sister Victoria's marriage to Billy Boy Abbott, I can't help thinking she may be somewhat attracted to the disgraced doctor herself. Abby originally tried to match Stitch up with her mother, Ashley. Now that Ashley is returning to Genoa City, will she have competition from her own daughter? Actually, I hope not. There is already a storyline about a father and son with the same love interest. The Neil,/Hilary/Devon triangle is enough, thank you very much. The mystery of Jill's music box has taken far too long to unravel. Now the box has been stolen, so it's not over yet. I just hope the writers come up with an interesting conclusion to this convoluted storyline. Here are some comments by Jessica from Oshawa on the rumoured death of Christian LeBlanc's character, Michael Baldwin, and Mariah's "wedding" to Ian Ward. It wouldn't surprise me at all if they killed off Michael Baldwin. Show is getting crazy. The most laughable one so far is Ian Ward putting Mariah in a wedding dress, the girl he raised as his own daughter!!!! In Neil's new blind state he mentioned to the social worker that he knew it was a man that walked in the room. Knew it was not a woman as Neil has a heightened sense for perfume because of Jabot!! Please - hospitals and offices have been scent free for years. We can tell that Hilary and Devon will be caught in their tryst due to Hilary's lingering perfume on Devon. Just saying. Right on the money, Patsy! You should be hired to run a reality check on the soaps. You can certainly spot the mistakes. A new Adam has been cast. He is 37-year-old Justin Hartley. Hartley has previously appeared as Fox Crane on the daytime drama Passions (from 2002 until 2006) and has had roles on the prime time soaps Revenge and Mistresses. The actor has also portrayed Green Arrow on Smallville. Don't expect to see Justin on screen until November. He will start filming in September and will make his first appearance during the November sweeps. WHATEVER HAPPENED TO . . . JAIME LYN BAUER? 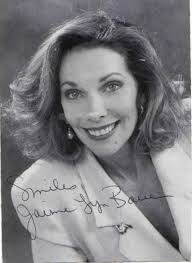 Jaime Lyn Bauer portrayed the beautiful and sophisticated Lauralee "Lorie" Brooks on The Young and the Restless from 1973 until 1982. After her nine-year run on Y&R, she went on to play the role of Barbara Fisher on the short-lived prime time series Bare Essence. She then won positive reviews for her performance in the theatrical production of Extremities. In 1993, Jaime Lyn joined the cast of Days of Our Lives and played the role of psychiatrist Dr. Laura Horton until 1999. In 1984 and again in 2002, she briefly reprised her role as Lorie Brooks on the Y&R. During her original stint on the show, her Lorie Brooks character was romantically involved with Jed Andrews, played by Tom Selleck, who, of course, found fame as Thomas Magnum on Magnum, P.I. Jaime Lyn Bauer was born in Phoenix, Arizona on March 9, 1949 and her real name is Norma Marvhne bauer. After graduating from Phoenix Junior College, she pursued a modelling career in Chicago and Los Angeles. She then landed many guest spots on television series. The aspiring actress eventually had to choose between a seven year contract with Universal Studios and a three year contract with The Young and the Restless. According to a 2012 biography on her website, Jamie Lyn Bauer is married to Emmy Award-winning make-up artist Jeremy Swan. She and her husband reside in Studio City, California, a neighbourhood of Los Angeles, and are the parents of three children. After the birth of her third child, Jaime appeared in episodes of Knots Landing and Young Riders. She also also played a leading role in the mini-series Judith Krantz's Secrets, which was filmed in Italy. For almost a decade, Jaime was the celebrity spokesperson for the Epilepsy Foundation and travelled extensively to raise money to increase awareness and educate the public about the disease. She also launched her own production company, Envision Entertainment. That's all for now. 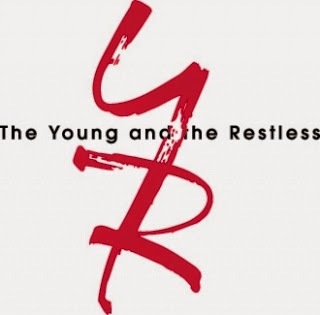 Y&R should be very interesting next week! Eileen Davidson will return as Ashley Ashley and it looks as if Sleeping Beauty Phyllis will finally awaken from her coma. Don't forget that the next edition of the Y&R Report will appear on Saturday, September 13, 2014.